David Gilmour has reconfirmed his position that Pink Floyd are finished as a band. The guitarist initially revealed the news last fall while promoting the release of “The Endless River”, a project billed as a tribute to keyboardist Rick Wright, who died from cancer in 2008 at the age of 65. 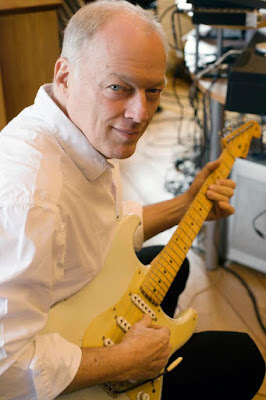 Gilmour tells Classic Rock via Billboard: “I'm done with it. I've had 48 years in Pink Floyd - quite a few of those years at the beginning, with Roger (Waters). And those years in what is now considered to be our heyday were 95 per cent musically fulfilling and joyous and full of fun and laughter. “And I certainly don't want to let the other five per cent color my view of what was a long and fantastic time together. But it has run its course, we are done - and it would be fakery to go back and do it again." He adds: "To do it without Rick would just be wrong." Gilmour worked with wife and lyricist Polly Samson and co-producer Phil Manzanera on “Rattle That Lock”, and he sees no reason to revisit his past. “I absolutely don't want to go back,” he explains. “I don't want to go and play stadiums... under the Pink Floyd banner. I'm free to do exactly what I want to do and how I want to do it. Obviously I accept there are people who want to go and see and hear this legend that was Pink Floyd, but I'm afraid that's not my responsibility. “I don't need it. I don't need to go there. I'm not being coy or difficult - I just think that at my age I should do whatever I really want to do in life." Gilmour will launch “Rattle That Lock” with a sold-out 11-date European tour, with shows starting on September 12 in Croatia; the run includes five concerts at London’s Royal Albert Hall. He’ll also play a series of North American concerts in 2016, with dates scheduled for Los Angeles, Toronto, Chicago and New York.